The first ever Cybathlon Competition will take place in Switzerland this October, 2016. The international competition is for disabled athletes using exoskeletons and other wearable robotic devices. Teams from universities and corporations all over the world will come together for the event to showcase their latest developments in advanced assistive devices, including robotic technologies. 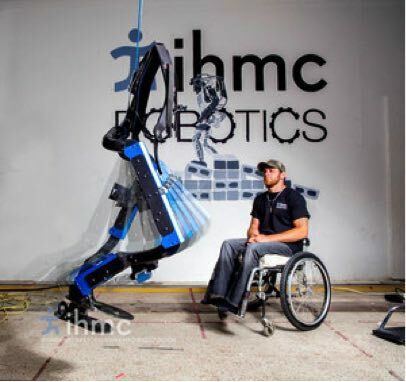 This year, Star Prototype is supporting one of our customers, The Florida Institute for Human and Machine Cognition (IHMC), by sponsoring the development and manufacturing of their exoskeleton, the Mina v2, to support their entry in the competition. Stay tuned for the upcoming case study to see how it was made. We are really excited to be involved since exoskeletons and wearable robotic devices are giving people with disabilities a new lease of life and are opening a world full of possibilities for people like Mark Daniel. Mark, who suffered a spinal cord injury nine years ago, will be the pilot for the Mina v2.